Home > News Headline > "Longing" by Savi Gabizon will open The 14th edition of Venice Days at the Venice Film Festival. 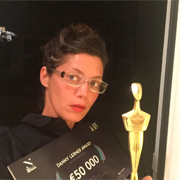 This will be the first film in a decade by director Savi Gabizon, that was chosen to compete in Venice Days - an independent framework alongside the official competition of the Venice Festival - one of the most important film festivals in the world. The prestigious Italian festival will open on August 30 and end on September 9. Gabizon began his career as a student at the Steve Tisch School of Film and Television at Tel Aviv University and from there he established himself at the top of the Israeli cinema scene with films such as "Shuru", "Lovesick on Nana Street" and "Nina's tragedies." Today he teaches scriptwriting and directing at the Steve Tisch School of Film and Television. 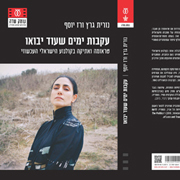 "Longing" (which already won the script award at the Jerusalem Film Festival in 2017) tells of a 50-year-old industrialist without children, who meets his past girlfriend from university and reveals surprising details about his past - which are life changing. 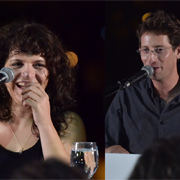 The cast in the film includes: Shai Avivi, Assi Levi, Neta Riskin, Yoram Toledano, Ella Armoni, Adam Gabai and others. From the jury's arguments in Jerusalem Film Festival: ""Longing - a script that gathers universal human fragility, comedy, spirituality, with an intelligent narrative construction"